Game wardens in New Mexico are known as conservation officers and are employed by the New Mexico Department of Game and Fish. These professionals are certified peace officers with a great deal of expertise in wildlife and fish management along with the investigation of wildlife crimes. As peace officers, New Mexico’s conservation officers have the primary responsibility for enforcing conservation laws related to illegal hunting, fishing, trapping and harvesting. In addition to laws that govern game, fish, and outdoor recreation, these officers are also responsible for enforcing laws for off-highway vehicles, criminal trespass, negligent use of a firearm, and illegal dumping and littering. Conservation officers also must be highly knowledgeable about New Mexico’s wildlife. This in itself is a challenge, since the state has habitats ranging from desert to alpine. The combination of wildlife expertise and law enforcement appeals to a lot of men and women, both those with a background in conservation and in law enforcement. Therefore, the competition for these positions can be fierce. Candidates who understand the selection process, qualifications, and requirements of the New Mexico Department of Fish and Game are in the best position to showcase their qualifications. 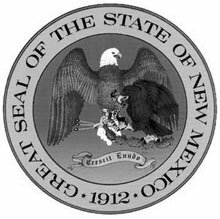 Read on to determine which qualifications are most helpful to game warden applicants in New Mexico. Conservation officers in New Mexico both love working outdoors among the state’s fish and wildlife and enforcing the law to preserve the state’s variety of pristine habitats. In addition to their roles in law enforcement, these game wardens apply their knowledge to educate the public and mentor youth who are interested in conservation. They also collect census data on animal and bird populations. Academic Credentials: High school diploma or its equivalent; a bachelor’s degree in one of the following areas: agriculture, animal sciences, ecology, biology, criminal justice, environmental science, forestry, range science, or wildlife enforcement or management. Vision: Visual acuity correctable to 20/20 in each eye. Normal binocular color vision with a full field of periphery is required. Applicants who have had surgery to improve vision may be required to submit additional information. Applicants must successfully complete each component of the physical readiness testing. Psychological Condition: Applicants will participate in a psychological assessment to determine overall indicators of mental health. Ability to engage in minor mechanical work. The US Bureau of Labor Statistics found that game & fish wardens in New Mexico earned an average salary of $42,990 ($20.67/hour) as of 2016. Those with the most experience earned within the top 10%, making an average of $50,710 ($24.38/hour) that year.